Google+ is not the first attempt by Google to break into Facebook’s share of the social networking market. After Google Wave fizzled out while it was still in a nascent stage, Google managed to get something right this time. Google has realized its greatest strength is search, and therefore this time care has been taken to merge social networking with search results. This, of course is the future of SEO. With so many SEO experts gaming Google’s search algorithm, it had come upon Google to buckle up and improve the quality of results, which had degraded over the years because of the inflow of spam sites and content farms. It’s easy to guess that once Google is done dealing with these issues, the old school SEO practices won’t be valid anymore. 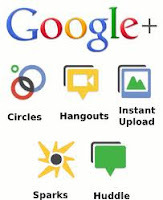 But how does the advent of Google+ affect the world of search engine optimization? Read on. The +1 button is Google’s version of the like button of Facebook. By placing this button everywhere over the web, Google has tapped into the vast resource of information waiting to be analyzed. You can click the +1 button to share any webpage you come across the web, on your Google+ profile page. The logic behind this is that if a website is very popular socially, as in, it is being shared by people worldwide; it is bound to contain content of value. Therefore, it has to be ranked higher in search results. While other white hat SEO practices can’t be discounted, the +1 button has surely added another dimension to SEO. The good part is that people will see better search results, results they want to see. Also the button will provide Google with valuable information that will help it to provide better targeted ads to users. SEO experts advise you to install a +1 button on your website, but the offside is that it +1 cannot be considered as a definitive proof of a website’s credibility and Google knows that. Coming directly to Google+, SEO wise the most important feature is Sparks. Sparks is basically a web feed which doles out links to blogs and websites that are directly related to your interests. Now Sparks definitely puts SEO in a totally new perspective; because Google will build your Sparks feed based on the content liked by your friends. This obviously renders all the search optimization worthless, and traffic goes to sites which are simply ‘preferred’ by your friends. The positive side of this is that it gives webmasters the incentive to enlarge their social presence which will help them in the long run anyway. Social marketing is becoming immensely popular and missing out on it can be deemed as suicide. The negative aspect can be that this devalues many previous SEO practices and you might have to start all over to attain your lost traffic. There’s no reason to deny that Google will use your Circles to gather information about you and your friends. The circle name itself can suggest a lot; for example Google will know which ads are to be fed to people who are in the “Snorkeling” circle in your Google Plus account. The increasing amount of personalization that Google is bringing into its search results is definitely affecting SEO practices, as well as contributing to the vast amount of public information already on the web. Different people might not see the same SERP (search engine results page) for the same search strings, which definitely raises skepticism over the existing SEO techniques. Of course this makes for a better user experience and that is what Google is aiming for anyway. Google will gather data even from your Google profile itself to provide you more personalized search results. Your hometown, your occupation, your gender and your age are definitely important criteria when it comes to providing targeted ads and personalized search results. It is safe to say that Google+ has changed the SEO’s best practices forever. It might be hard, but not impossible to keep up with Google’s pace in constantly updating its search techniques; although the trend clearly says that social-presence oriented SEO is the future.